Pakistan's Muhammad Ali scored in the dying embers of the match to ensure his nation's return to international football was a memorable one. It was Nepal who started the match on the front foot, but Pakistan managed to go into half-time with a one-goal advantage. Pakistan were awarded a penalty after Nepal's Biraj Maharjan brought down Mohammad Riaz in the 36th minute, and Hassan Bashir made no mistake in converting from the spot. Despite coming close a number of times, Nepal couldn't find the back of the net. 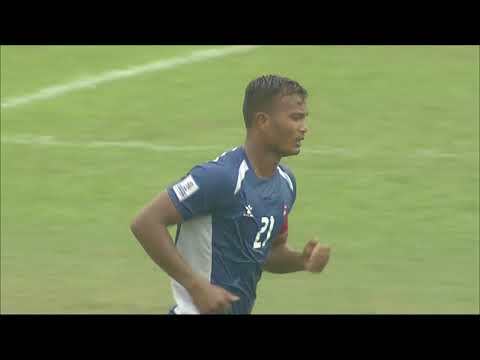 In the 82nd minute, Bimal Magar finally managed to equalise for his team. The joy of shared points was short-lived for Nepal as eventually, Muhammad Ali scored from a swift counter-attacking move to ensure the three points for the Shaheens. Awarded the 'most valuable player' of the match for his winning goal, Ali later said, "We're finally playing international football and we need more games and participate in every possible tournament. It's up to the players to show that we need to be playing international football regularly". Reflecting on the positive result, Pakistan's head coach Jose Antonio Nogueira said, "Nepal played very well on the right side and we were strong on the right side as well, so it was a balanced game. Nepal had more possession, but if you look back, we were the more attacking team. "We didn't defend well. This result is very unfortunate. Pakistan had the advantage of height and played to this advantage by focusing on set-pieces. They were successful in playing the counter-attacking game. We should have defended better," stated Nepal head coach Bal Gopal Maharjan. Pakistan will face home team Bangladesh while Nepal will play Bhutan on Thursday.